Ukraine’s national debt has soared over the past five years and continues growing, caused by current government’s unprofessionalism and failure to restore peace in the country and boost its economy growth. OPPOSITION PLATFORM — FOR LIFE MP Serhiy Lovochkin stated commenting on 2018 summary statistics of the Finance Ministry. “Over the year Ukraine’s national debt rose by 27 billion hryvnia and reached an astronomic amount of 2,000,169,000,000 hryvnia. Its growth rate as well as the repayment schedule are disastrous. The change of political agenda, restoration of peace, and high rates of economic growth are the only ways to stop Ukraine from falling into a debt pit,” Lovochkin said. The politician is certain that a debt of over 2 trillion hryvnia resulted from the government’s lack of professionalism and its disastrous agenda over the past five years. 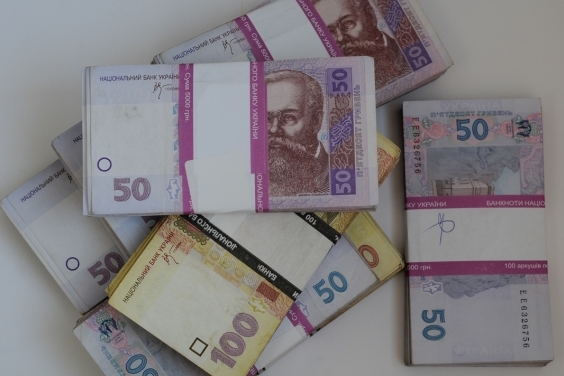 According to data he possesses, the hryvnia value of the national debt increased 3.7 times during 2014–2018, or by 1,584.2 billion hryvnia. In terms of debt amount per citizen, the national debt rose by four times: from 12,800 hryvnia to 51,600 hryvnia per person. In terms of GDP, the national debt rose from 39.9 percent to 62 percent of GDP, while the critical level for Ukraine is no more than 40 percent. “Despite several rounds of debt restructuring, the problems related to possible refinancing and payment of the national debt remain acute. The conditional respite after the 2015 restructuring is over. In 2018, Ukraine entered the period of peak planned national debt payments that will last during 2019 and 2020. This is the legacy of this government that will be inherited by its successors,” Lovochkin said. The MP cited the data that one in eight hryvnia of the budget expenses in 2019 would cover the settlement of the national debt. 40 percent of the state budget’s expenditures will be allocated for the national debt repayments. Ukraine is to pay back $10.5 billion of its currency national debt in 2019. Currency national debt payments in 2019–2020 are comparable with foreign exchange reserves of the National Bank. “However, the worst thing is that debt risks might aggravate in upcoming years. The risks for debt sustainability might increase on the backdrop of continued peak payments of the national debt, the rise of the national debt value, and weak external financial position of Ukraine,” the politician said. “There is only one way out — implementation of professional and pragmatic financial and economic policies. In order to lower the debt pressure, we need steps such as hryvnia loans from international financial organizations, the development of the currency risk insurance market, replacing and reprofiling of expensive old debt under better terms. “However, the major way is to increase the economy growth through economic recovery, export buildup, investments attraction, and jobs creation. This way is real if relevant and necessary changes take place in office,” Lovochkin summed up.